'90s nostalgia might be at an all-time high in fashion and entertainment. But when it comes to interior decor — let's just say we're not ready to go there yet. 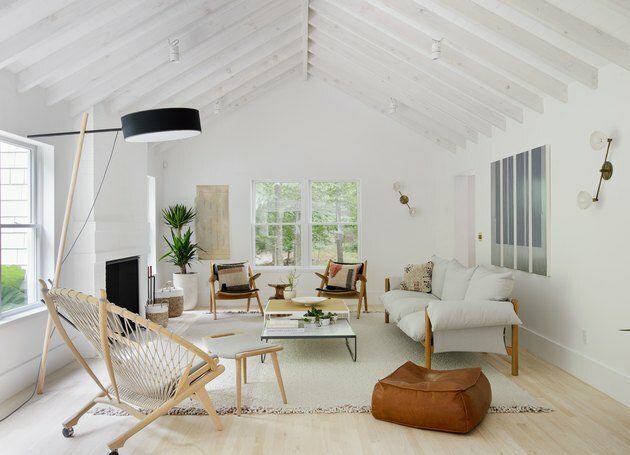 So when a family found a home in Amagansett, New York that was peak '90s, they said, as if!, and hired the team at Jessica Helgerson Interior Design to create a decidedly up-to-date space that would be functional, beautiful, and reflective of the relaxing, beach-friendly area. 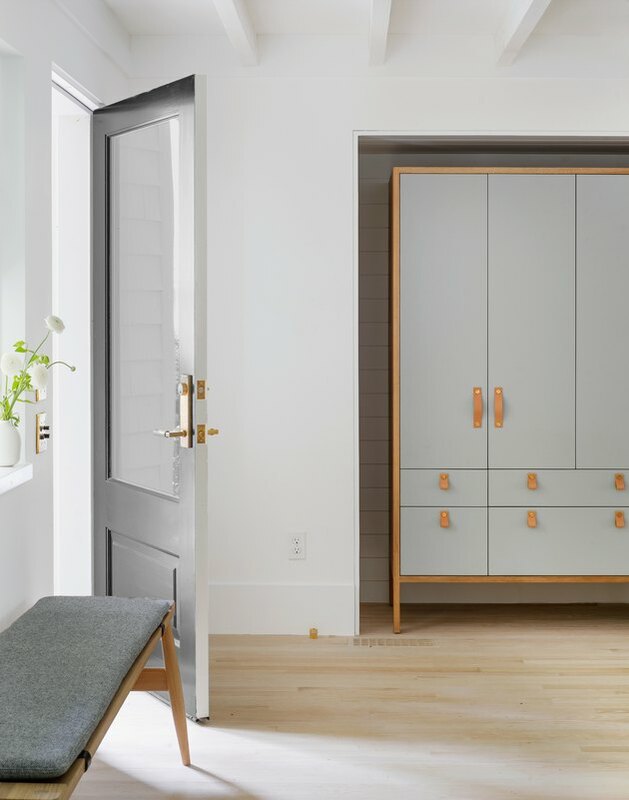 After a remodel that stripped away the passé architecture and added more bedrooms and social areas, the designers channeled Scandinavian and Australian beach houses. 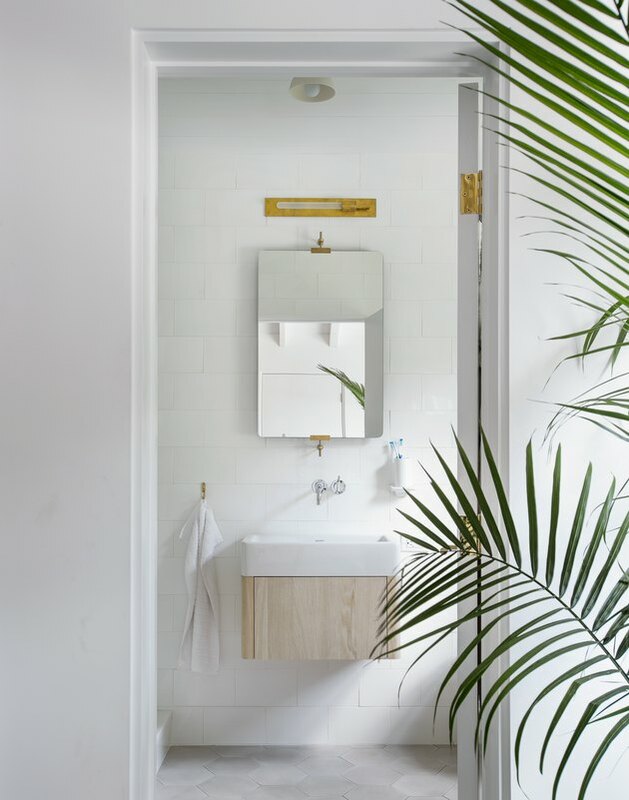 The color palette is natural and restrained, with a reliance on texture and different materials — like wood, leather, marble, and brass — to create a sophisticated look. What a Betty. 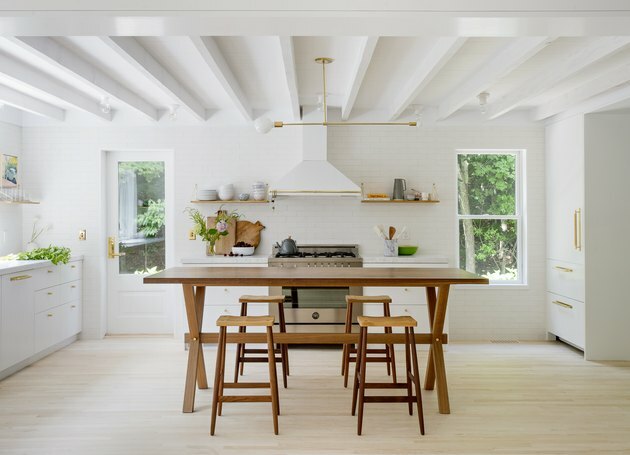 The house's original red oak floors were bleached to better fit the cool and calm vibe. The design firm created the custom armoire in the foyer, which complements the Pinch bench. The whitewashed beams are a new addition to the living room, which features soothing tones and plenty of texture. Apparatus Studio sconces are mounted on the white walls, and the Hans Wegner Circle chair is paired with a Jardan sofa. The Another Country dining table can seat a crowd. An Apparatus Studio chandelier hangs over the table. The bench and chairs are by Sibast. 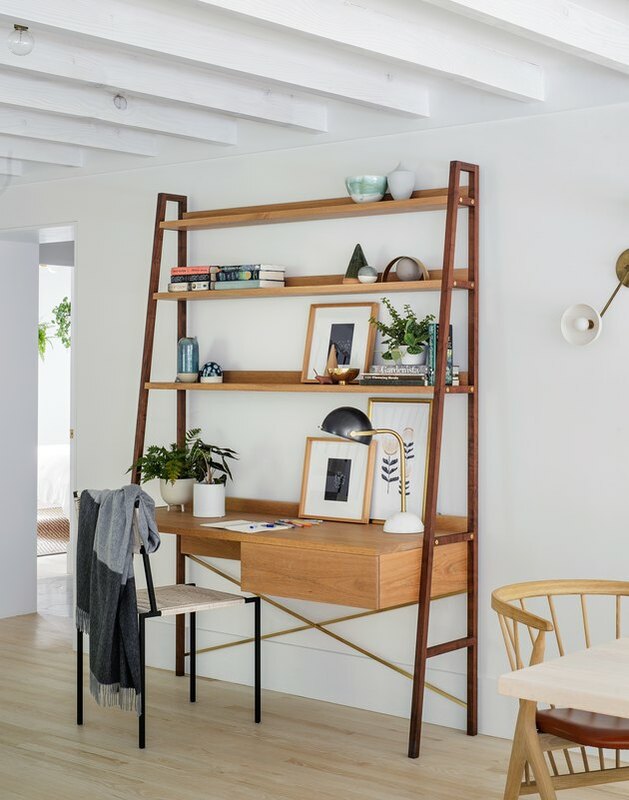 An empty wall in the dining room was turned into a workspace with the addition of a custom desk. The kitchen's brick walls were glazed in a matte white and open shelving was installed to store and display china and glassware. The bar table, which is illuminated by a Lambert et Fils light and surrounded by Pinch stools, was custom designed by the firm. 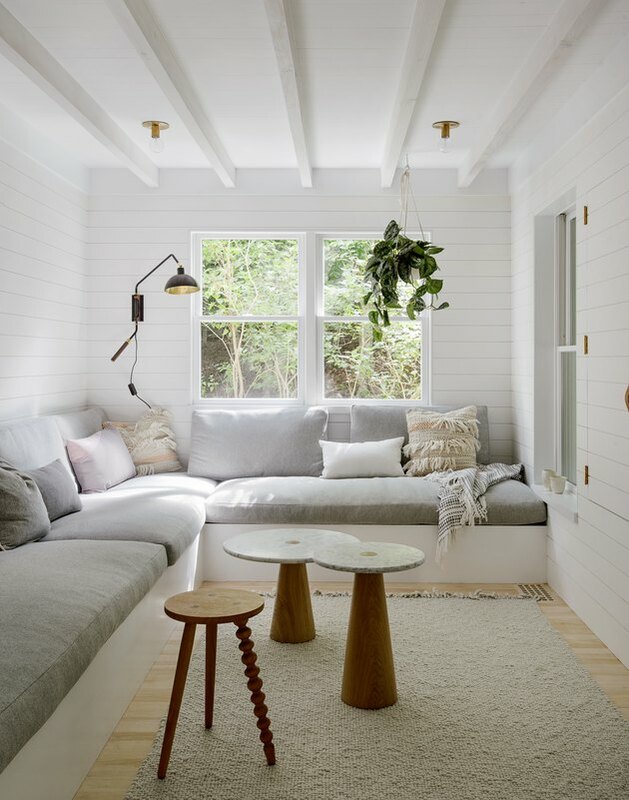 The TV room's built-in banquette is the perfect place to curl up to read a book or binge Netflix. The V-groove wood walls give a nod to classic coastal architecture. The second floor's "cozy room" features a built-in banquette topped with plenty of plush pillows. 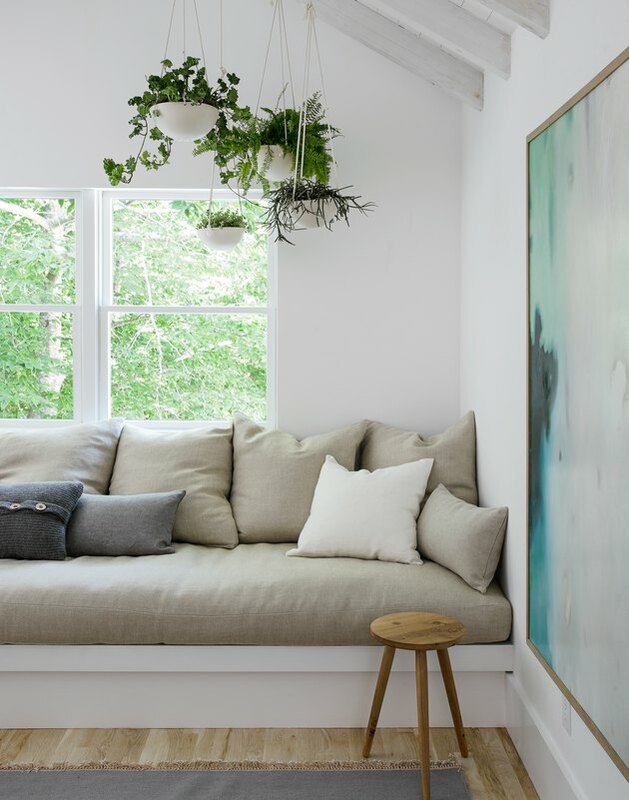 The suspended planters were found on Etsy and the painting is by Jocelyn Rahm. The designers used a pale pink to create an accent wall in the master bedroom. 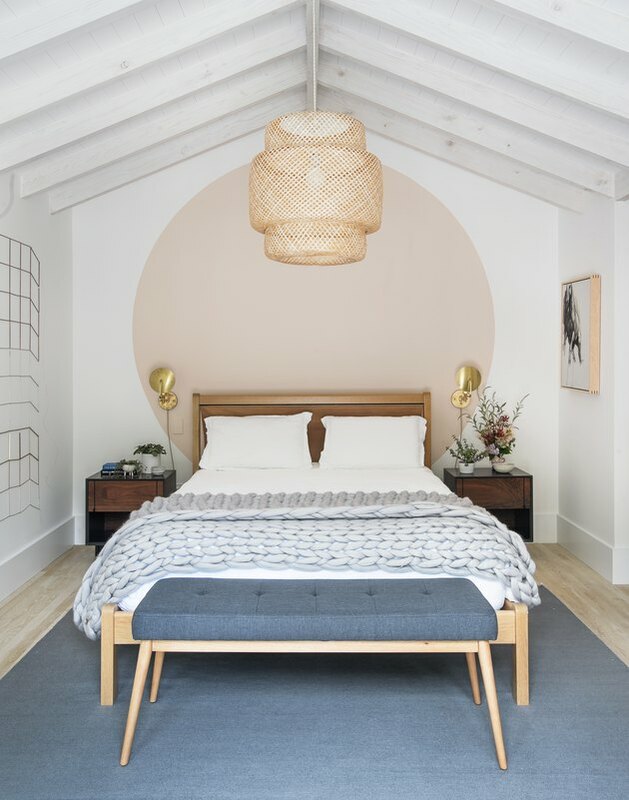 Workstead sconces were installed on either side of the Jardan bed, and the pendant light is from Ikea. Handmade tiles line the walls of the master bathroom and the floor sports gray encaustic tiles. The vanity is made of bleached red oak and the sconce is a custom design by the firm. 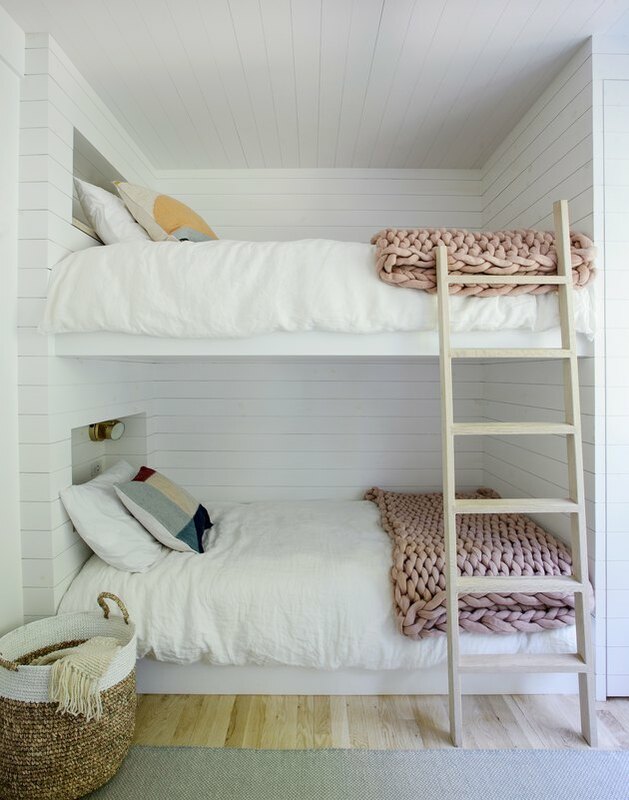 The charming bunk room is lined with V-groove paneling, and a custom ladder leads to the top bunk. Chunky knit throws add color and texture to the beds.